Everything you need to create handmade presents as well as organize and enjoy your gift exchange party. Thematic letters, word flashcards, a picture game, activity sheets, coloring pages, invitations, greeting cards, puppets, and so much more! 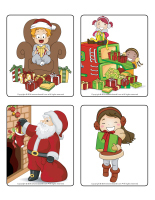 (Open thematic poster-Christmas-Gift exchange) Print, laminate, and decorate the walls of your daycare with all kinds of posters. Decorate a special wall for the duration of your Christmas-Gift exchange theme. (Open banner-Christmas-Gift exchange) Print, laminate, and cut out. Invite parents to help you decorate your wall by writing special messages. (Open memos-Christmas-Gift exchange) Print and hand out the memos to parents and encourage them to stick them on your wall once they are completed. 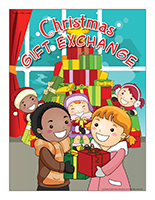 You may also invite children to suggest kind words and messages for their secret gift exchange friend. Write their words on the memos and let them add them to your wall. 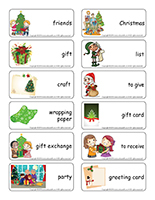 (Open educa-decorate-Christmas-Gift exchange) Print, laminate, and cut out the various items. Use them to decorate your daycare and set the mood for the theme. This tool was created in response to a special request received. (Open inventory-Arts & crafts supplies) Print. 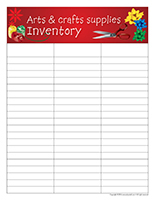 Add this list to your arts & crafts bins to keep track of their contents. The educatall.com team has prepared a series of special activities that will help you prepare your Christmas gift exchange. Invite children to help you prepare your daycare and the meal for this very special day. Leo, the gift exchange specialist, will guide their preparations. 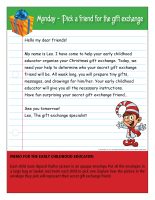 (Open Leo-The gift exchange specialist) Print the puppet and use it to read the thematic letters to your group. (Open thematic letter-Christmas-Gift exchange) Print all five thematic letters and set the stage for your group. Prepare a special mailbox by wrapping a shoebox with Christmas wrapping paper and gluing shiny stars and accessories on it. Each day, deposit a letter in your mailbox. Read it to your group during circle time and complete the daily task or activity suggested by Leo. Display the letters on a wall once you have completed the day's tasks. Memo for the early childhood educator: Each child must deposit his/her picture in an opaque envelope. Put all the envelopes in a large bag or basket and invite each child to pick one. Explain how the picture in the envelope they picked will represent their secret gift exchange friend. Today, with your early childhood educator's help, you will make a special gift for your secret gift exchange friend. Listen closely to her instructions, she will guide you throughout this very important task. Don't forget that you mustn't reveal who your secret gift exchange friend is. 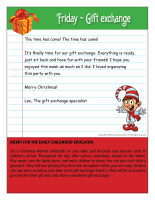 Memo for the early childhood educator: Several handmade gifts are suggested in the Arts & crafts section of this theme. Gather all the necessary material so that each child can make the gift he/she thinks is perfect for his/her secret gift exchange friend. 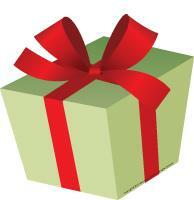 Today, with your early childhood educator's help, you will make a card to accompany your gift. Be creative, but most of all, have fun! 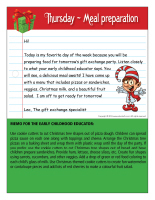 Memo for the early childhood educator: Print several Christmas greeting card or memo models. You will find cards of all kinds in the educatall club. Today is my favorite day of the week because you will be preparing food for tomorrow's gift exchange party. Listen closely to what your early childhood educator says. You will see, a delicious meal awaits! I have come up with a menu that includes pizzas or sandwiches, veggies, Christmas milk, and a beautiful fruit salad. I am off to get ready for tomorrow! Memo for the early childhood educator: Use cookie cutters to cut Christmas tree shapes out of pizza dough. Children can spread pizza sauce on each one along with toppings and cheese. Arrange the Christmas tree pizzas on a baking sheet and wrap them with plastic wrap until the day of the party. If you prefer, use the cookie cutters to cut Christmas tree shapes out of bread and have children prepare sandwiches. Provide ham, lettuce, cheese slices, etc. Create fun shapes using carrots, cucumbers, and other veggies. Add a drop of green or red food coloring to each child's glass of milk. Use Christmas-themed cookie cutters to create fun watermelon or cantaloupe pieces and add lots of red cherries to make a colourful fruit salad. The time has come! The time has come! It's finally time for our gift exchange. Everything is ready, just sit back and have fun with your friends! I hope you enjoyed this week as much as I did. I loved organizing this party with you. Memo for the early childhood educator: Set a Christmas-themed tablecloth on your table and decorate your daycare prior to children's arrival. Throughout the day, offer various workshops related to the theme. Play music, turn the lights down, and invite children to dance. You can give each child a glowstick. They will love placing it by their side at naptime. When you are ready, children can take turns revealing their secret gift exchange friend. They will be so proud to give him/her their gift and card. Have a wonderful gift exchange! (Open picture game-Christmas-Gift exchange) Use the pictures to decorate your daycare or to spark a conversation with your group. Print, laminate, and store the pictures in a Ziploc bag or in your thematic bin. Organize a special breakfast between 7:00 a.m. and 9:00 a.m. to give parents the opportunity to visit your daycare and meet. Simply prepare a fruit platter, muffins, and coffee. Children will be so happy to invite their parents into their daycare environment. (Open perpetual calendar-Christmas-Gift exchange) Print, laminate, and display the calendar near your daycare entrance. 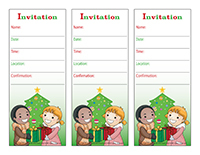 (Open invitations-Christmas-Gift exchange) Print for each child. 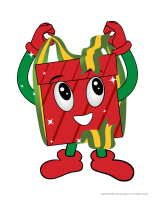 At the beginning of the week, give each family a bag containing a variety of arts & crafts materials. Encourage parents to create a special decoration with their child and bring it to daycare the day of your gift exchange. Set a small Christmas tree in one corner of your daycare. As they arrive, children can hang the decoration they made at home in your tree. If you wish, you can also set a special Christmas-themed mailbox next to your tree. Parents and children can write Christmas wishes for children on tiny cards and drop them in your mailbox. (Open game-Gifts and numbers) Print for each child. This game will help children learn to recognize numbers. They must associate each bow to the gift with the corresponding number of dots. (Open souvenir picture frame-Christmas-Gift exchange) Print for each child. Take pictures of the children in your group during your gift exchange. Print a picture for each child and help them arrange their picture in their frame. 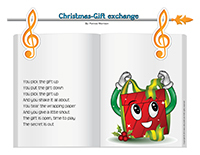 (Open educ-trace-Christmas-Gift exchange) Print for each child. Children must trace each line using the correct color and then color the corresponding object. (Open educa-symmetry-Christmas-Gift exchange) Print. Children must color the picture on the bottom to make it look exactly like the one at the top of the page. Wrap a gift in several layers of adhesive tape. Sit in a circle with your group. Set a winter hat and mittens in the centre of the circle. Children take turns rolling a die. Every time a child rolls a "1", he/she must put the hat and mittens on and try to unwrap the gift. While he/she is hard at work, the other children continue rolling the die. Every time another child rolls a "1", he/she must put the hat and mittens on and continue unwrapping the gift. The game continues until the gift is completely unwrapped. Variation for younger children: Use only one or two layers of wrapping paper with very little adhesive tape. Simply have them wear mittens and try to unwrap the gift. In the educatall club, you will find illustrations that can be used to create a giant die. (Open giant die) Print, laminate, and glue them on a sealed cardboard box. This game is a lot like Pin the tail on the donkey. Here, stick a large piece of wrapping paper on a wall. Add two large pieces of ribbon, horizontally and vertically. Give each child a gift topper of a different color. When it's their turn, hand them a piece of adhesive putty they can stick behind their gift topper before attempting to place it on the top of the gift while blindfolded. Here are a few gifts, cards, and other items children can make for your gift exchange. Insert messages in an empty toilet paper roll. We have prepared memos you can use. (Open memos-Christmas) If you wish you can also add candy pieces inside each roll before wrapping it with tissue paper. Children will enjoy decorating their roll and using ribbon to tie each end. These secret message tubes are a great gift for their secret gift exchange friend. We have prepared two models for you, a black and white and color version. 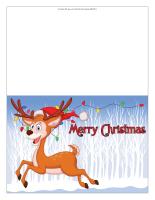 (Open Christmas greeting card-black and white) (Open Christmas greeting card-Color) If you choose to use the black and white version, have children color the card for their friend. Print the model you prefer. (Open models-Ornaments) Print. Give each child an ornament and have them paint it. Provide a variety of green, red, and white necklace beads and let children create unique necklaces. (Open miniature gingerbread man) Print, color, and cut out the pieces. Help children glue them on an empty toilet paper roll to create a character. Hang them from the ceiling or in your Christmas tree. (Open moving nutcracker) Print for each child. Ask children to color and cut out the various parts. Assemble them using fasteners. Cut two Christmas stocking shapes out of felt for each child. You can use the following model. (Open lacing-Christmas stocking) Use a hole punch to make holes around the contour of the stockings. Provide yarn children can thread through the holes of their stockings to sew them together. They can fill their stocking with treats and offer it is a gift. 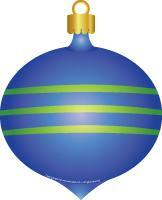 (Open Christmas designs) Print and have children color the designs. Use a hole-punch to make holes at the top and bottom of each design so a red or green drinking straw can be inserted. Children will love drinking their milk with their Christmas straws. You will need two Christmas-themed paper plates per child. Have them cut one plate in the centre. Discard one half. Apply glue along the contour of the cut plate and press it on the uncut plate, lining up the edges. Use a hole-punch to make holes on the upper half of your letter basket (on the uncut plate). Have children thread a pretty Christmas ribbon through the holes. They can sprinkle glitter all over their letter basket if they wish. Give each child a metal can with no sharp edges. Have them remove the original label and either wrap their can with construction paper or paint it before gluing a variety of decorative items all over it. This crayon holder makes a great gift. Take a picture of each child wearing a Christmas hat. You can prepare a Christmas backdrop for them to pose in front of if you wish. Cut a frame out of heavy cardboard and encourage children to paint it. Glue each child's picture inside his/her frame and add magnets on the back. (Open models-Gifts) Print several copies. Use the models for various projects and activities throughout your theme. (Open puppets-Two-legged gift) Print the puppet models on heavy paper. Have children cut out their puppet and decorate it with various arts & crafts supplies. Glue a popsicle stick behind each puppet. 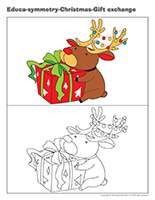 (Open coloring pages theme-Christmas-Gift exchange) Print for each child.